YOUR HOME WORKING HARDER FOR YOU. Enjoy ultimate comfort, convenience and control from At-EaseTM. As a homeowner, there are some things you take for granted. Coming home to a warm, dry house. Switching your lights on. 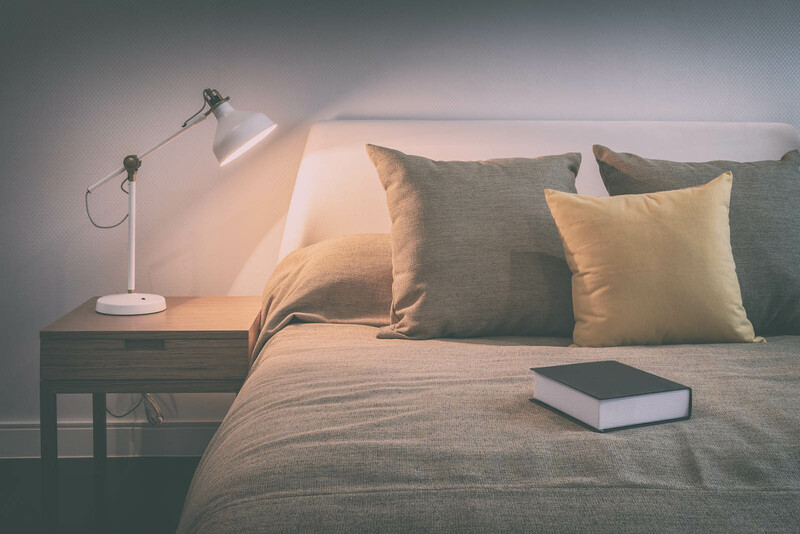 So what if all of those home comforts could be even more – well, comfortable? What if you could control your heating and air conditioning and curb your energy bills without ever touching the thermostat again? What if you could pull into your driveway on a dark night to be greeted by the lights in your house turning on? What if you could create a mood, change the atmosphere, set the climate and manage the entire mood of your home with just one touch? 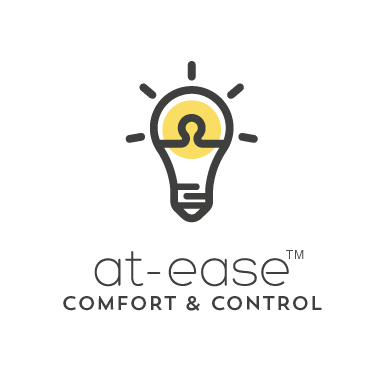 With At-EaseTM, we exist to make your everyday even easier. So you want to turn your home into a smart home? For inspiration, we’ve compiled a list of the most popular smart home technologies for today’s homeowners and homebuyers. 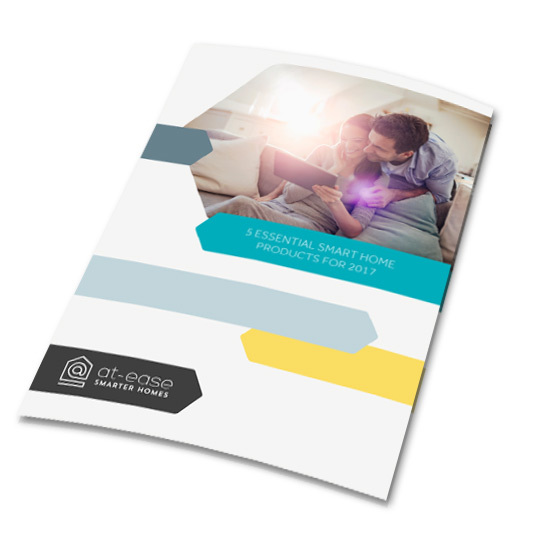 Click below to download our guide, but remember this: whatever features you decide to invest in, smart technology should put the easy into everyday – and that’s where At-EaseTM can help. GET YOUR FREE GUIDE NOW! You’re ready to live smarter. We’re here to make that happen. Book a home visit from one of our designers and we’ll open up a world of possibilities. © 2019 At-Ease Home Services, Inc.